Spyro the Dragon joins the Brawl. This is probably my most nostalgia-inducing video game character, so I knew at some point I would have to bring him on, in all his quadrupedal glory. The wings animate nicely, the legs, not so much. Ivysaur’s skeleton is much wider than this vertex, so zooming in at the wrong moment will show limbs stretching in weird places. The entire tail had to be made from, I think, nine verticies, so it’s a bit low-res. I turned his vines into Dragonfly shapes, which means he has two Sparx’s at some points, but I figure it’s nice to be able to see where your hitboxes are. that spyro is amazing in every single way… 😀 mind if i make a cinder using your’s as a base? yeah, but its still damn good. better then the other spyros made. Er, that was aimed at the second part. I don’t mind if you use the model I mean. This is pretty damn good. You know, There’s a Spyro for Charizard and now you made one for Ivysaur. 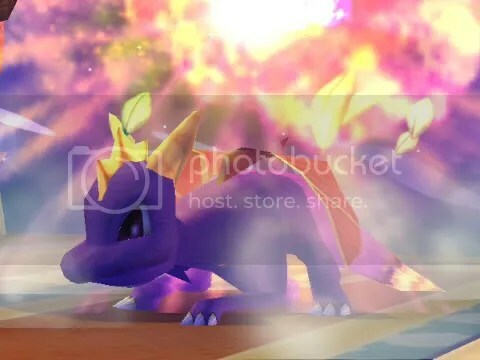 Maybe someone could make a Spyro Trainer and somehow make Baby Spyro on Squirtle.